Developer(s): Inti Creates Co., Ltd. 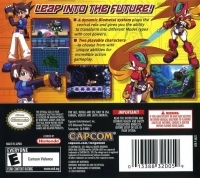 Box Text: Leap into the future! •A dynamic Biometal system plays the central role and gives you the ability to transform into different Model types with cool powers. •Two playable characters to choose from with unique abilities for incredible action gameplay. 05-04-2017 dankzappa Box Text Leap into the future! •A dynamic Biometal system plays the central role and gives you the ability to transform into different Model types with cool powers. •Two playable characters to choose from with unique abilities for incredible action gameplay. 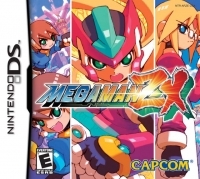 This is a list of VGCollect users who have Mega Man ZX in their Collection. This is a list of VGCollect users who have Mega Man ZX in their Sell List. 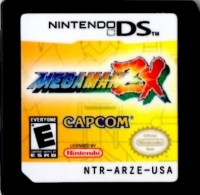 This is a list of VGCollect users who have Mega Man ZX in their Wish List.